For a generation of musicians of nearly every genre, the laptop has become an instrument. It’s easy to take for granted, but the rise of the computer for music has been remarkable. Less than twenty years ago, real-time digital synthesis and audio processing was the domain of expensive, specialized workstations. Now, $700 per seat can buy you a full-blown musical rig, with the computer hardware, gestural input courtesy the Nintendo Wii controller, and even a DIY speaker made from IKEA salad bowls. The next challenge is to make this setup as flexible and reliable as possible. Enter Linux. 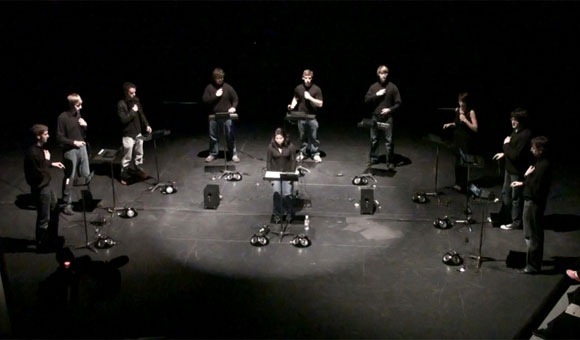 According with the laptop’s graduation to instrument status, laptops orchestras have spread worldwide, inspired especially by the innovative Princeton Laptop Orchestra (“PLOrk”) directed by Dan Trueman and Perry Cook. PLOrk’s alumnus Ge Wang has even gone on to greater fame making applications for the iPhone via ocarina and T-Pain app developer Smule. The sounds of these ensembles may sometimes be strange, but by pushing laptop performance, the groups are a great place to look for how to get the most out of computer music, whatever your tastes may be. 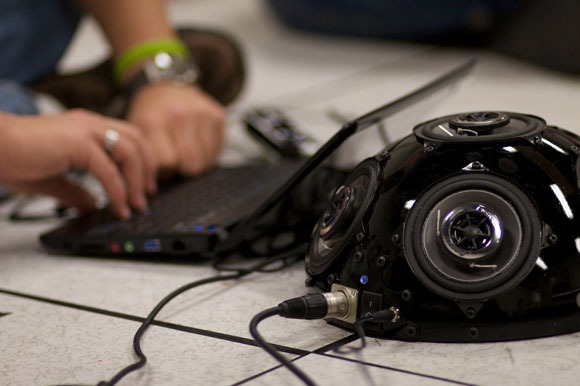 Virginia Tech’s L2Ork’s claim to faim is that it’s a laptop orchestra powered by Linux. Why does that matter? For one, it makes a big difference on cost. By using Linux-powered netbooks, they’ve slashed the per-student cost from that of the Mac laptops used in some other ensembles, on a machine that’s more compact. Far from making sacrifices to save money, the result is actually greater reliability, flexibility, efficiency, and audio performance. As with the PLOrk ensemble, L2Ork combines expressive input with open-ended digital sound making production, localizing the sound near the computer itself using hemispherical speakers. 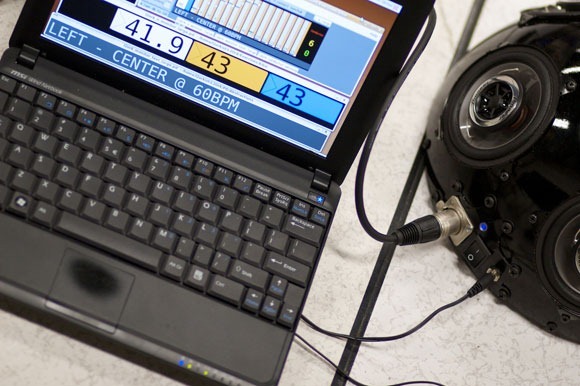 In this way, the laptop instrument can attempt to learn something from acoustic instruments, which are played with human gestures and have sound sources that are positioned physically where the instrument is. 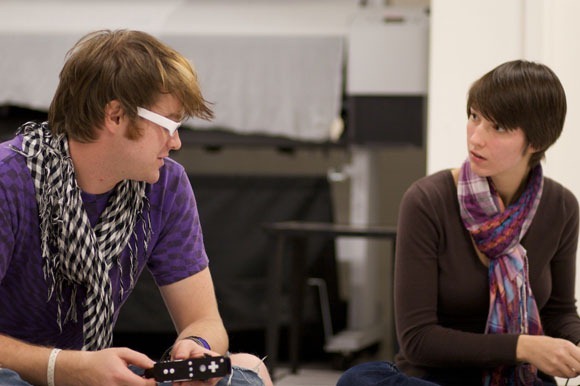 You don’t have to enroll at Virginia Tech to apply these lessons to your own music making, however. 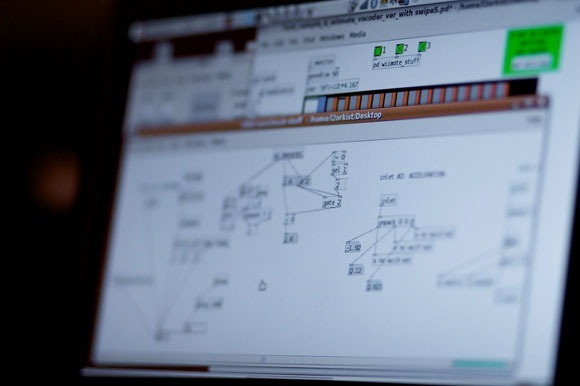 You can apply the lessons of the L2Ork ensemble to put together your own Linux audio machine. They’ve even further-documented the process of making PLOrk’s signature “salad bowl” speakers. And you can do it all without breaking the bank. 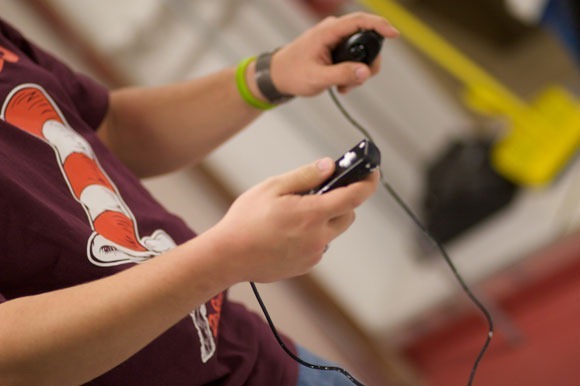 I got the chance to speak with Dr. Ivica Ico Bukvic, director of the Linux Laptop Orchestra and the DSISIS Interactive Sound and Intermedia Studio at Virginia Tech. CDM: What is your software rig for this ensemble? Ivica: We basically use Ubuntu 9.04 (vanilla) with our own custom-built rt kernel, which apart from solid performance also offers full support of standby/hibernate/external monitor, webcam, wireless, bluetooth, etc. We also have various patches/scripts that deal with chronic UI bugs (e.g. order of panel icons in gnome getting trashed whenever a resolution is changed). Basically, our configuration supports every single functionality of MSI Wind netbooks, which we use as the backbone of the orchestra. FWIW, our setup offers pretty darn cool price point. The entire setup (MSI Wind, UA-1G soundcard, hemi speaker, [Nintendo] Wiimote/Nunchuk, all the cables/accessories, headset, and case) comes down to approximately $700/seat which arguably makes it as cheap as an iPhone setup, except you get to enjoy flexibility of using a laptop (ok, a netbook :-). What music software are you using? Our audio platform is currently exclusively [multimedia patching environment] Pd-extended 0.42.5 (running through [low-latency audio server] JACK) which we’ve also customized to allow advanced GUI setup (e.g. per-patcher configurable background, menu/ontop/resize/scrollbar toggles, what is IMHO better scrolling algorithm than what we currently have) as well as integrated several new objects whose source we are about to release (our multithreaded version of the Wiimote object for Linux has been already posted on the Pd-list a couple weeks ago, and it fully supports Wiimotes/Nunchuks without any interruptions to the Pd’s audio thread). What do you do to get Ubuntu running properly? (http://ico.bukvic.net/Linux/). Once we clean everything up we will actually generate a full HD image and offer it for public download in hope to allow people to load that thing and thus allow them to have the best possible out-of-box experience (obviously as far as MSI Wind is concerned). Is the hemispherical speaker something readers could build? There are probably dozen videos on the VTDISIS Youtube channel that are designed to help potential L2Ork adopters build their own speakers, from cannibalizing/retrofitting the amps to improve their performance, to building cables and final assembly. Rehearsal video shows how the L2Ork work out playing and soundmaking as an ensemble. Got more questions for the ensemble? Let us know. I’d definitely like to offer, as well, some information on how to make Ubuntu work this well for you, and how to learn Ubuntu, Pd, JACK, and other free tools, in a way that’s beginner-friendly. That sounds like a decent New Years’ Resolution.